A picture is worth a thousand words…or a thousand customers! Fletcher Prince http://www.FletcherPrince.com can help you create a suite of professional photos and images for your company or nonprofit, then show you how to feature them online — on websites, in videos, and on social networks. Rely on us for organizational and optimization strategies that make your images get found in search engine results. Are you on Pinterest yet? Pinterest is a free-to-use content sharing site that allows members to collect and showcase images and videos, with links, on virtual bulletin boards. Merchants are excited about Pinterest because it drives more referral traffic than other social networks. About 25% of users report that they bought an item as a result of seeing it in on Pinterest (Comscore, July 2012). 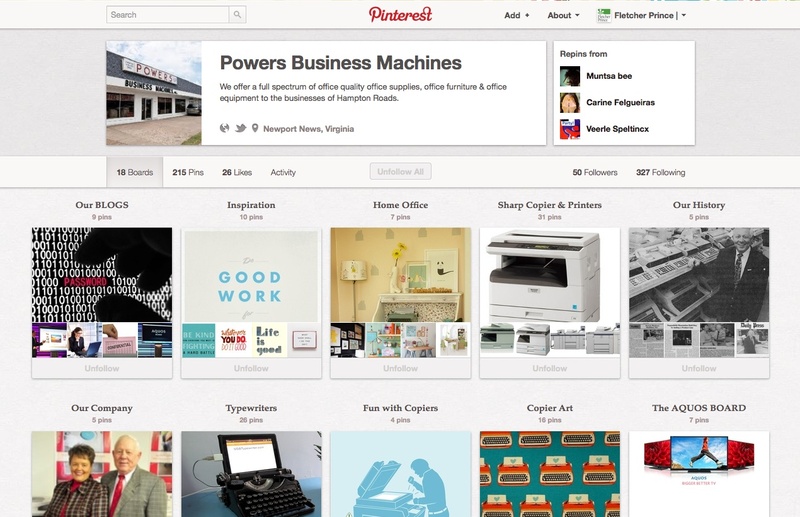 So, lots of brands are trying out Pinterest. Here are three Virginia brands that are making the most of Pinterest, in creative ways. 1. White House Foods. The Winchester, VA manufacturer makes apple sauce, apple butter, apple cider vinegar, well, you get it. They make a lot of things with apples. 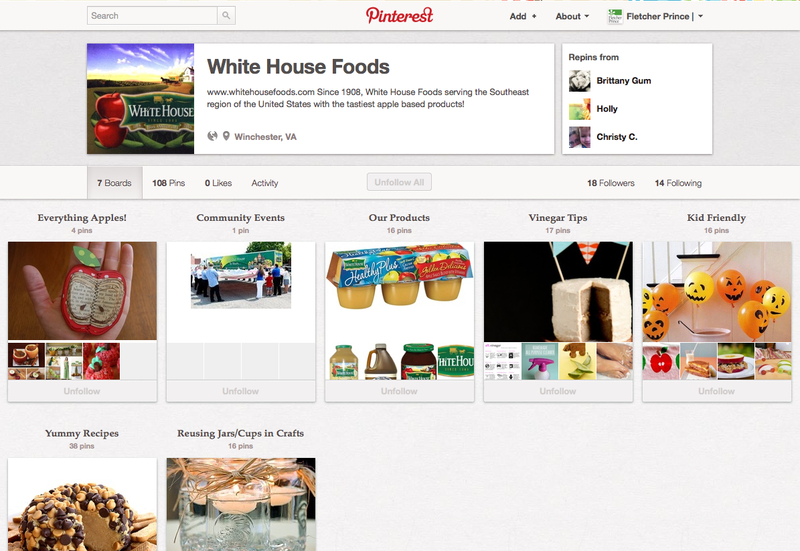 So Pinterest is a great fit for White House foods because people share lots of recipes on Pinterest. Pretty clever marketing, White House! Let’s see even some more pins! 2. Lewis Ginter Botanical Garden. You know what’s impressive about this Richmond, VA nonprofit organization? Other than their lovely gardens? They have more than 770,000 followers on Pinterest. I asked the account manager, Jonah Holland, how the nonprofit managed to attract so many followers, and the answer was tapping into an enthusiastic pinning population: brides. 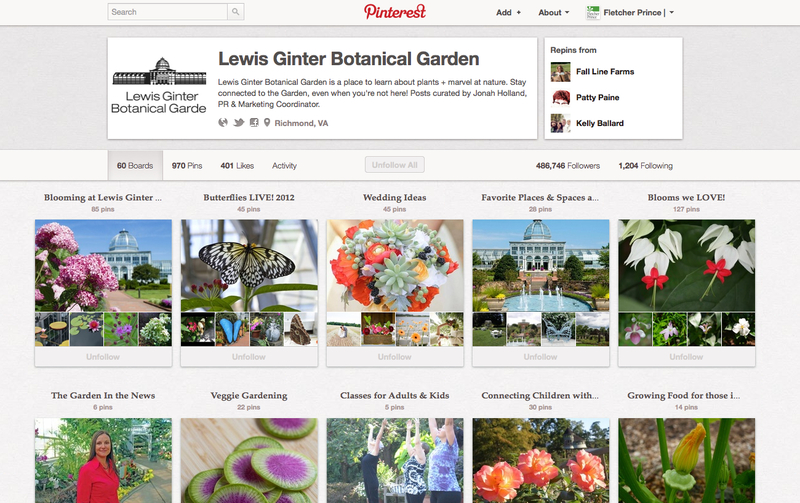 Originally, the goal of Lewis Ginter Botanical Garden’s Pinterest account was to reach brides planning their wedding who looking for inspiration. This year Lewis Ginter was voted “Best Place for a Wedding Reception” in Virginia Living magazine, so we knew that was an audience we could connect with. But what we found was so much more than that. There is a vibrant gardening community on Pinterest, and our goal is to connect with them and to share our love of gardens (ours and others) with an audience who appreciates beauty and gardening….to share valuable information with our followers. This could be eco-friendly tips, gardening advice, or just simply sharing a beautiful photo we took of a bloom at Lewis Ginter, or elsewhere. Way to market the mission, Lewis Ginter Botanical Garden! and a whole lot more. I like what they’ve done! They embrace the fun and visual aspects of Pinterest, not to mention some of the more popular categories, such as food, which is the leading category on Pinterest. And they manage to connect all that content back to their brand. Keep up the good work, Powers Business Machines!